While many individuals might seek out an assortment of spiritual practices and approaches, the local congregation still remains the place where most Christians turn for religious education, nurture, ritual, and a sense of community. Yet many congregations struggle to respond to the spiritual needs of new faces in their pews. In Excellent Protestant Congregations, respected religion journalist Paul Wilkes profiles nine dynamic, geographically and denominationally diverse congregations that have the ability to create a vibrant community of worship. 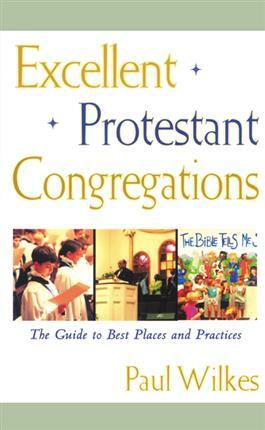 The result is a book that provides real-world insights that are both inspiring and applicable in a local congregation.